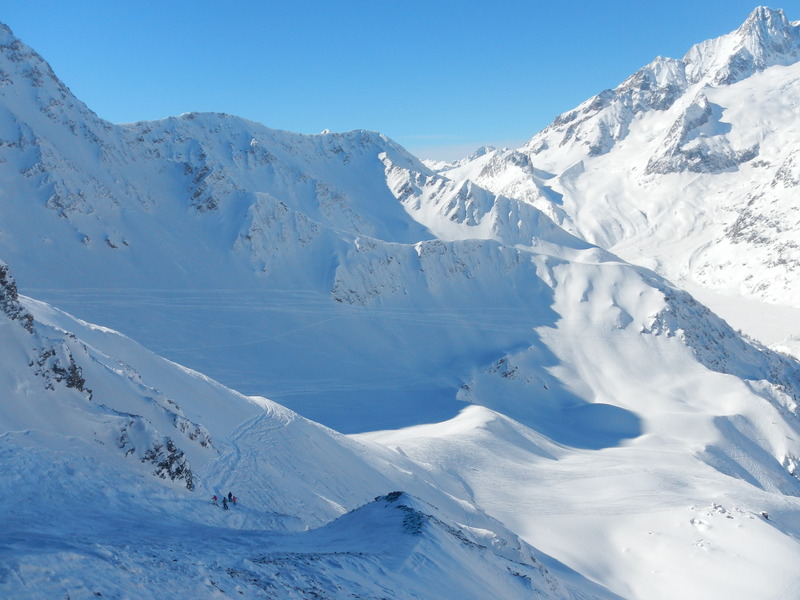 The boys and I headed to Courmayeur, just over the Italian border to the south of Mont Blanc for a week skiing. 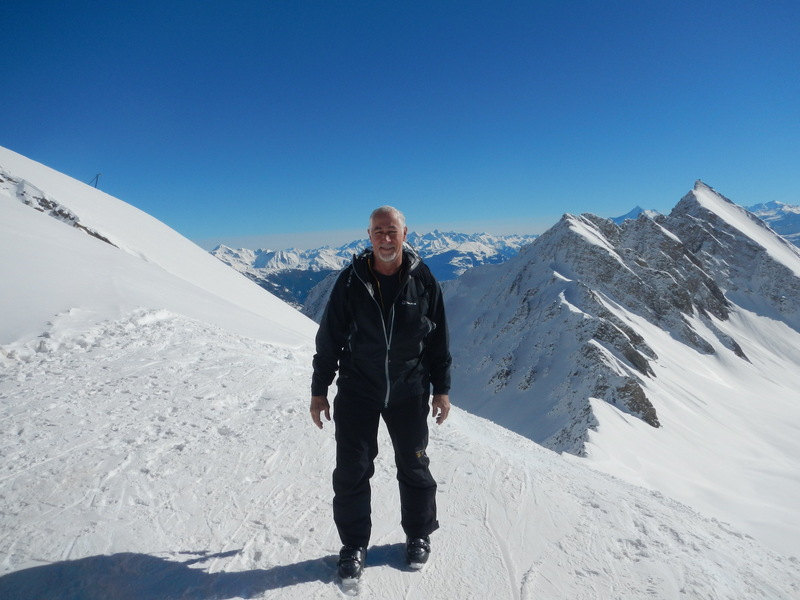 The highest point that can be reached by telecabine from the ski area is Cresta d’Arp (2755m or 9,040 ft) with spectacular views of Mont Blanc to the north and the Italian Alps all around. Mont Blanc looms to the north from Cresta d’Arp. The peak in the above photo is actually Mont Blanc de Courmayeur which joins by a ridge to the main summit (not visible here). 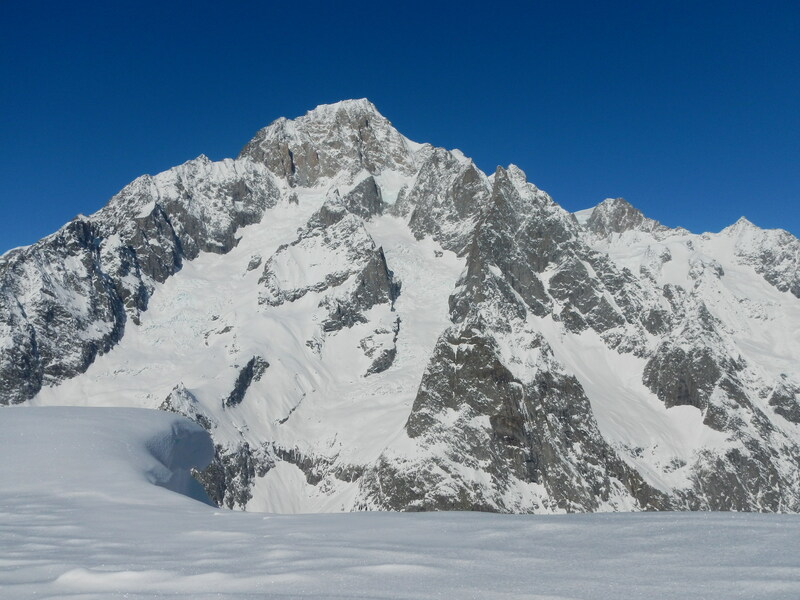 The two glaciers on the south face are Glacier du Breuillat and to its right Glacier de Frêney. The ridge on the left is one of the more difficult routes to climb Mont Blanc, usually taking 2 or 3 days. 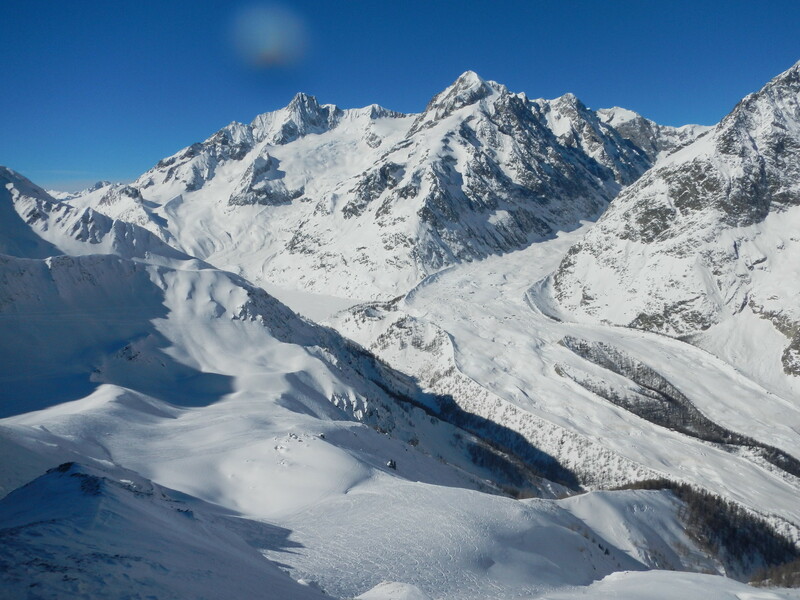 To the south of Mont Blanc is the Glacier de Miages which flows around towards Courmayeur to the right. 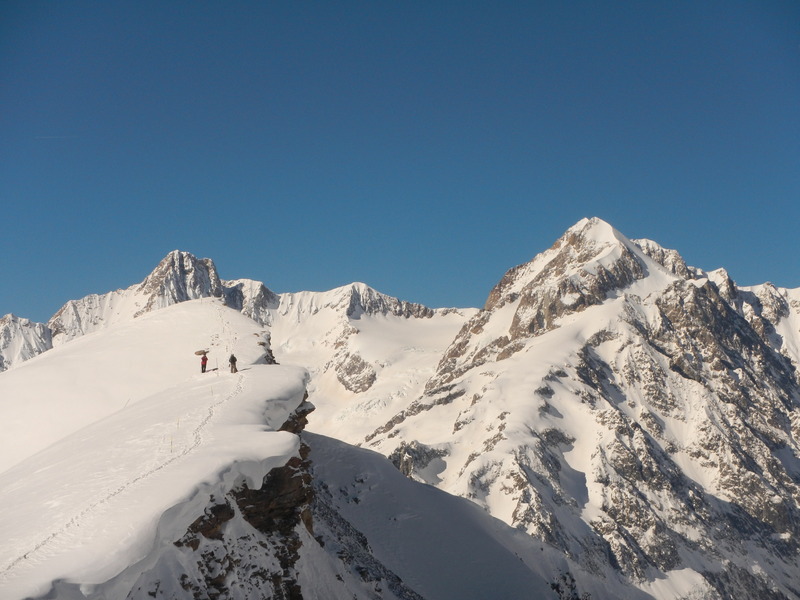 Skiers (towards bottom left) descending from Cresta d’Arp towards the Glacier de Miages. Looking east from Cresta d’Arp. 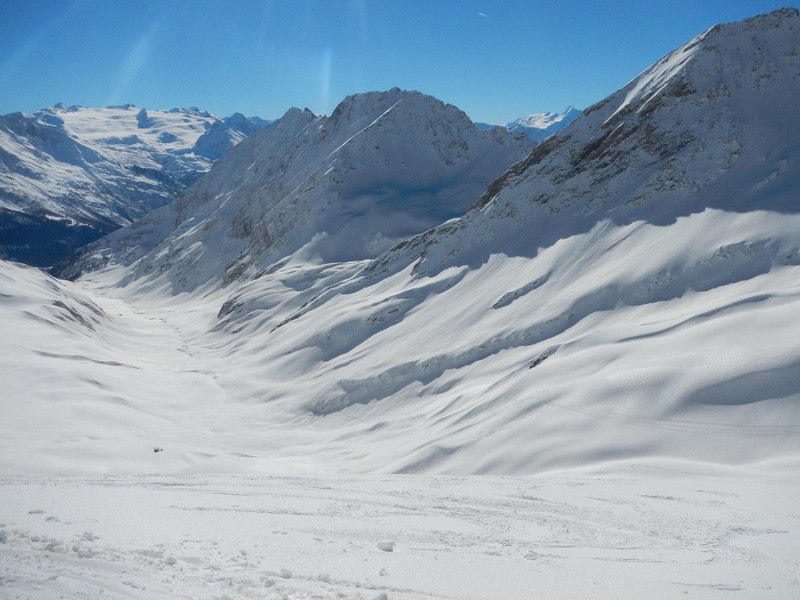 There is an off-piste ski route down this valley also. A view from Cresta d’Arp towards the north-east. We have had several days of perfect weather. Blue sky and bright sun, no wind. I have been skiing without gloves or parka wearing just two layers and was not at all cold. 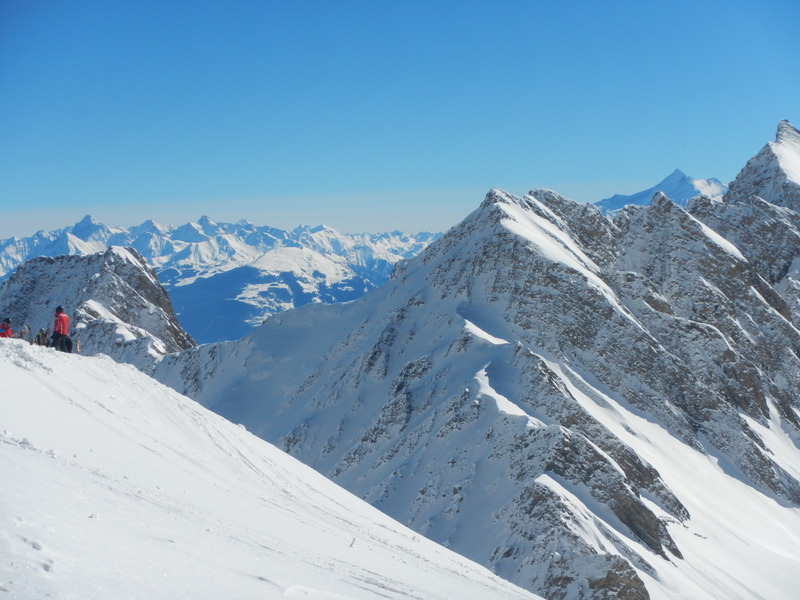 This entry was posted in Mountains, Photography and tagged Alps, Courmayeur, Italy, skiing by colinmathers. Bookmark the permalink. Superb scenery but I don’t think I’d be able to get down from there. I’d have to be picked up in a helicopter.